It was 2007 and I had just finished business school and joined my first startup — a small bootstrapped SaaS company that offered a large file transfer solution. At that time, I was the only marketer and employee #5 in the company, and we were starting to get some real traction in customer acquisition. Our basic value proposition was all about making it easy to send large files without having to deal with email attachment size limits or using FTP clients that are too complicated for the non-tech savvy. We thought this addressed the primary pain point that brought most of the customers to our site…and to some degree, we were right. However, we started noticing that we were getting more and more customers that were accounting firms, so I called them up to learn more about their needs. What I discovered was that they didn’t buy our solution because they had a problem with sending out large files. What they cared about, which in hindsight seems so obvious, was data security, data privacy and the ability to track access to files for auditing and compliance purposes — which are all capabilities that we had. The files that they sent back and forth with their clients were mostly spreadsheets and PDF documents containing financial data, which usually aren’t big enough to trigger email file caps but certainly required a certain level of security and privacy measures. And so, our primary messaging was mostly missing the mark for this audience, not to mention any content we were nurturing these prospects with. With this newly gained insight, we got more laser-focused with our value prop towards this particular segment. We ended up partnering with several major CPA associations and we built a bunch of microsites with relevant messaging to more effectively reach this new market. We ran an integrated campaign where we wrote up a quick case study, developed additional thought leadership material, sponsored a mini event, and presented in a webinar. I spent a total of about $12K and as a result we closed over $100K in annualized revenue attributed to this campaign. That’s a 10X in return on investment…how’s that for an ROI?? You can bet that I was trying to find ways to replicate this type of campaign! The moral of the story is that targeting the right audience with the right message drives success. This is essentially the STP (Segmenting, Targeting and Positioning) process covered in Marketing 101. Obviously this isn’t anything new or revolutionary — anyone who has ever taken a basic marketing class or has been doing marketing for a while knows this already. So why are we talking about STP in the same discussion with lead scoring? Marketo describes lead scoring in its Definitive Guide To Lead Scoring as a methodology for ranking leads in order to determine their sales-readiness. The experts at SiriusDecisions defines lead scoring as a methodology to rank prospects against a scale that represents the perceived value each lead represents, and is used to determine which leads a receiving function (i.e., sales, partners, teleprospecting) will engage. If we stop to think about it, I’d venture to say that the concept of lead scoring is simply a modern implementation or incarnation of the STP process. Or more accurately, it represents the segmentation and targeting aspects of STP. When set up correctly, doesn’t lead scoring help us find the right audience to segment and target our marketing and sales efforts? If you’re a regular reader of the Marketo blog or any other sources of marketing content, the concept of lead scoring is also not new. The problem is that setting up a lead scoring system that works (i.e., is accurate) takes A LOT of time and effort. If you’ve ever taken part in building up a lead scoring model, you’ll know that this is true. The marketing automation experts at The Pedowitz Group recognized that you’ll probably need to refresh your lead scoring model several times before you get it right. The idea of lead scoring isn’t broken, and implementing the mechanics of a basic scoring system in your marketing automation tool is easy enough. In fact, many marketing automation systems like Marketo do a great job at tracking a prospect’s demographic, firmographic and behavioral data that we can build our scoring model upon. The challenge that many marketers face is knowing exactly what data points to base your scoring upon, how much weight to assign to these data points, what those scores actually mean, and how to utilize those scores effectively. Do we add 10 points for these industry fields or five points? Is an e-book download worth 25 points? What about attending a webinar? And should I pass the lead over to sales when it hits a score of 35 or 50? Should I grade this prospect with these characteristics as an “A” lead or a “B” lead? Without knowing a better way, we resort to rules of thumb, gut feeling, and a lot of guesswork to answer these questions. So how do we identify the right prospects who are ready to buy without having to rely on guesswork or after-the-fact behavioral data that may take a long while to gather, which extends the sales cycle and perhaps puts you at risk of losing a hot lead because you’re still gathering the data to score that very lead? Instead of relying on the aforementioned methods of rules of thumb, gut-feel, and guesswork to build your lead scoring model, a better approach is to utilize proven scientific and statistical methods to predict who is most likely to buy. The idea is to use data science (i.e., statistical analysis, look-alike modeling, machine learning, etc.) to identify both the data within your customer database as well as external data signals gathered from all over the web that have a high correlation to converting prospects into customers. We call this process predictive modeling, and the output of this process is defining your ideal prospect profile. Therefore, your ideal prospect profile by definition gives you a picture of leads that have the highest propensity to buy from you. This profile should be the target that you base your lead scoring against. So rather than building your scoring model on potentially arbitrary data points, predictive modeling will tell you what your ideal prospects should look like according to characteristics of your customers. It will show you how to build your lead scoring on the data points that actually matter, so you no longer have to guess. In other words, predictive lead scoring is a methodology that identifies how closely matched a lead is to your ideal prospect profile, and thus has much greater meaning and is more accurate because it’s based on data points that have a high correlation to actual customers. For example, if I have had this capability back at my previous company, the predictive model would’ve revealed to me that a prospect who is in the accounting industry, who cares about SOX compliance because she tweeted about it many times, and who runs SSL encryption on their company website will be 4.2 times more likely to buy from me than leads with other profiles. With this level of insight, I would’ve been able to make my existing lead scoring much more accurate and immediately actionable or supplement my existing fit and behavioral scores with an additional score. I could have then identified right away any new prospects who will most likely buy from me with this predictive score. Some companies are already doing predictive lead scoring with an in-house team of data scientists. For those who don’t have a PhD in data science and statistics in their back pocket, there are consulting firms for hire that specialize in this. Lastly, there are several technology vendors that offer out-of-the-box solutions for predictive lead scoring and analytics, and several even integrate with Marketo, like my company Mintigo. The main point is that in order for us to use lead scoring to target the right audience, we need to understand which data fields to base the scoring model on to truly make it effective. Otherwise we’re just pretending to be data-driven marketers, and that’s not the fastest path on becoming a 10X marketer. 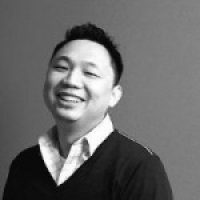 If you’re interested in learning more about how predictive lead scoring can help you target the prospects most likely to buy, join Tony Yang, Director of Demand Generation at Mintigo, and Gary DeAsi, Senior Marketing Manager at SmartBear Software and Marketo Champion, in our LaunchPoint webinar: “Predictive Lead Scoring: How to Turn Data into Revenue”. The webinar takes place on Wednesday, June 4th at 10:00 AM PDT.